As a frequent blogger about the life here in Brisbane, it is imperative that this new commitment of mine to create blog posts should now run equally, if not, deeper than my PASSION to be a conduit of information not only of anything about Australia’s New World City but also about today’s emerging technologies. With that new found passion, allow me to embark on another journey with you and head onto the next level up by exploring the wonders of blogging and how you can reap benefits from it in the enterprise world. As I see fit, I will try my best in the next series of posts to do so NOT in a hodge-podge approach—but rather in a more organized manner. Blog-hopping has now personally been my favourite mode of daily transport (in the Cyber World of course!). And I must admit everything is now happening here. After few months of finally blogging again since my first blog post ever in 2005, I reckon maybe it’s time to get serious or haven’t I been? It seems that I’ve gotten myself caught in a web and I don’t know how to get out. Okay first things first, need I not mention that this cyber world I’m talking about is known to you as a place where users have the mechanisms in place to transact any business or personal activity as easily and freely as they can transact them in the physical world. We are now seeing an eclectic range of whatever market have you. Say, from the simplest gadgets, to sports gears, to the luxurious sports cars or DotA-inspired merchandises for MEN, or the unimaginable accessories, overpriced cosmetics, to the never-ending fashion for WOMEN. Seriously, anything can be blogged about NOW! 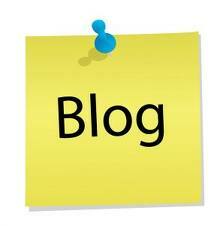 What is a BLOG then? People ASK ME, why do I blog? And I try to explain, hang on a second—but why wouldn’t I? A fellow Filipino and now Toronto-based is currently making waves as far as Enterprise 2.0 is concerned. In fact, she’s literally living an awesome life working for a top company’s operations in Canada and one of the world’s computer giants, IBM. Blogging doesn’t have to be about building a personal brand or improving your search engine ranking. You can write as a way to learn, understand, remember, share, and save time. 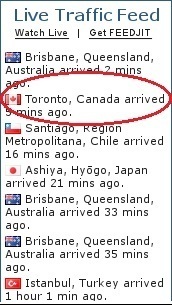 To my surprise, I was even happy to learn from my Live Traffic Feed courtesy of FeedJit that she (Chua) did pay a visit here after our brief Twitter conversation. So who will not be more PASSIONATE about blogging with that? Thus proving something at least, that with the advent of—Web 2.0 and Enterprise 2.0—social technologies can help us work and connect more effectively! Perhaps when it comes to blogging, it is also important to bring out the POSITIVITY in you as the world reflects back as to how it perceives you. This is especially vital when you want your readers to keep coming back for more and eventually collaborate with you. On positivity note, Henrik Edberg shares 16 lessons he has learned on how to build a somewhat Successful Blog whilst explaining it with details on his “The Positivity Blog”. 3. Learn from more experienced people. 7. Formatting is pretty and important. 8. People aren’t just angry or hostile online. Quite the opposite. 9. Don’t think about what everyone else may think. 10. Making posting a CHOICE, not a must. 11. Future posting is your friend. 12. Don’t spend too much time checking statistics or other blogs. 14. Expect a slump after a few months. 15. Don’t clutter your blog. 16. When you get a big traffic spike, be prepared. At the end of the day, blogging for me is truly a new frontier. A new place that is untamed and untainted by the rest of the world. It will be like a fresh start on a whole new planet or continent, similar events set in motion by the adventures of the Spanish Conquistador Ferdinand Magellan to the PHILIPPINES! Thanks Sacha! I know what you mean. I would not say it was really easy adjusting here either, there are still up and down moments. Good thing there are friends especially Pinoys who helped me fine-tuned my adjustment here in Brisbane. Although, I still miss home, but like you said the city has become a new home to me as well. But time will tell when I have really really settled well. It’s been a year and a half yet whilst here in the Land Down Under. 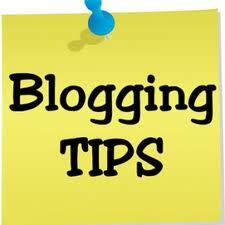 Very nice and useful blogging tips. Also, I really liked the way you ended the blog. Thank you Ahmed & Happy reading! Inspiration really plays a vital role whenever you’re blogging as well. Thank you Cherizza! Also, read your posts. It’s indeed helpful as well. Well, this might start as a great beginning for us to share our ideas in imparting to blogosphere what we have to offer. Expand your network and business contacts and take advantage of market intelligence from these two chambers. Keep up to date with trade opportunities available in two of the fastest growing economies in the Asia Pacific—Philippines and Australia, particularly in its Greater Brisbane Region.